If you need a name and/or a tagline/motto for your business as a result of a merger and acquisition, because you are starting up, for legal reasons or to give your company the opportunity to be a global player, you have come to the right place. If it’s a product or service name, a strap-line or a mission statement, you have found your partner for the project. Your brief, your story provides us with the inspiration, the parameters and constraints for our creative journey along different strategic routes. 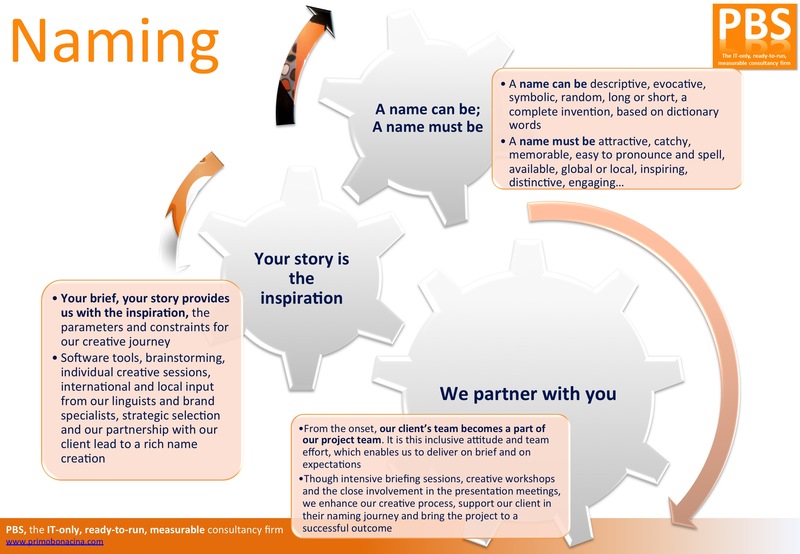 Using software tools, brainstorming, individual creative sessions, international and local input from our linguists and brand specialists, strategic selection and our partnership with our client lead to a rich name creation.